The Trumpet / Auxiliary Combo PRO PAC Case with Wheels is the result of a year-long design collaboration with the famed jazz trumpeter, Mike Vax (www.mikevax.com). After spending years on the road as a trumpet performer, Mike has learned first-hand what features a professional musician would need and appreciate. Protec is proud to make his requests a reality. 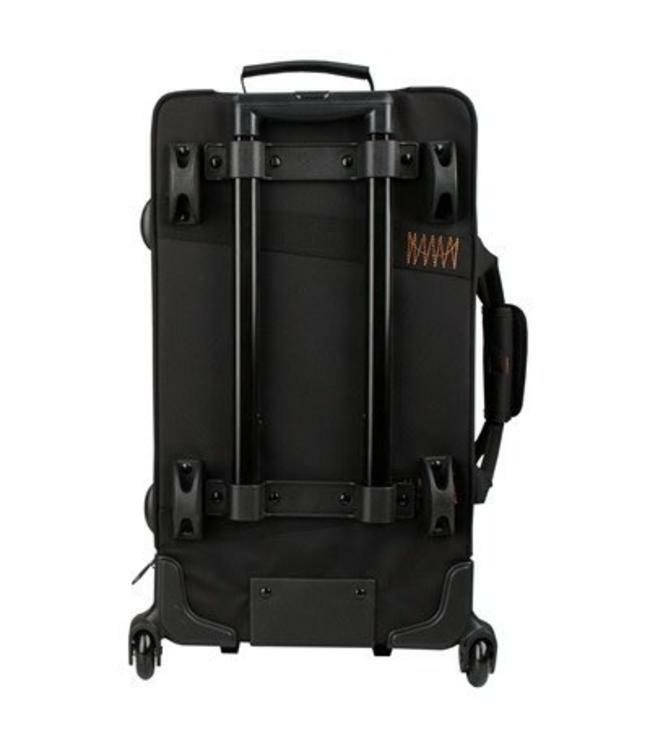 With a compact exterior dimension of 22 x 12.5 x 9 inches, this case complies with most U.S. domestic and international airline carry-on regulations.The exterior pocket design allows for sheet music. The metal ring located at the top of the case is designed to work with our popular trumpet mute bags. External Dimensions: 22 x 12.5 x 9"
Exterior Pocket Dimensions: 12 x 2.5 x 16"